Bob Beliveau’s Story - Fairlawn Brought Me Back - 28 years & thousands of comeback stories. Tell Us Yours! That’s how Bob Beliveau said he felt when a disease he had never even heard of made it impossible for him to speak, walk or even swallow. The first sign that something was wrong came when his left eyelid would just unexpectedly close. Then, he began having some trouble chewing and talking. 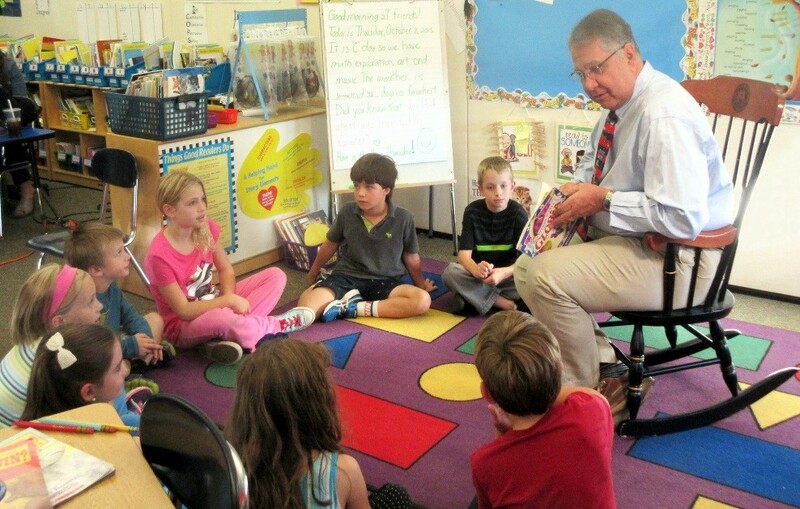 And finally, one day while teaching his second graders at the Bancroft School in Worcester, Bob just couldn’t catch his breath or hold up his head. Within the hour, he was in the ER at UMass Medical Center. Fortunately, Bob learned that although myasthenia gravis is not curable, with medication, most people with the disease can return to their previous life’s work and activities. But before he could even consider teaching again, he needed to get strong enough to return home with Yola, his wife of 35 years. So once medically stable, he was transferred to Fairlawn. Teaching was Bob’s passion. Returning to the classroom was his primary goal during rehabilitation. That, along with being unable to do even the simplest of things on his own — “like getting up to use the bathroom or get glass of water” — led to depression. “I had periods when I would cry all the time. That was so unlike me. I was the kind of person who always saw the glass half full, not half empty,” he said. 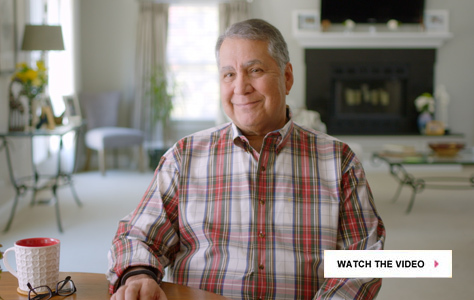 So Bob’s treatment team immediately began addressing the emotional and physical aspects of his illness. His OT, along with working on his upper body strength, used Bob’s love for painting as a means to improve both his motor control and his spirit. “She went out of her way to bring in art materials so I could practice my painting and calligraphy. By doing that, she helped me regain confidence in my ability to my art again,” he said. Meanwhile, his two hours of daily speech therapy focused on advancing his articulation and swallowing. Physical therapy worked to improve his muscle strength so he could walk and climb stairs again. 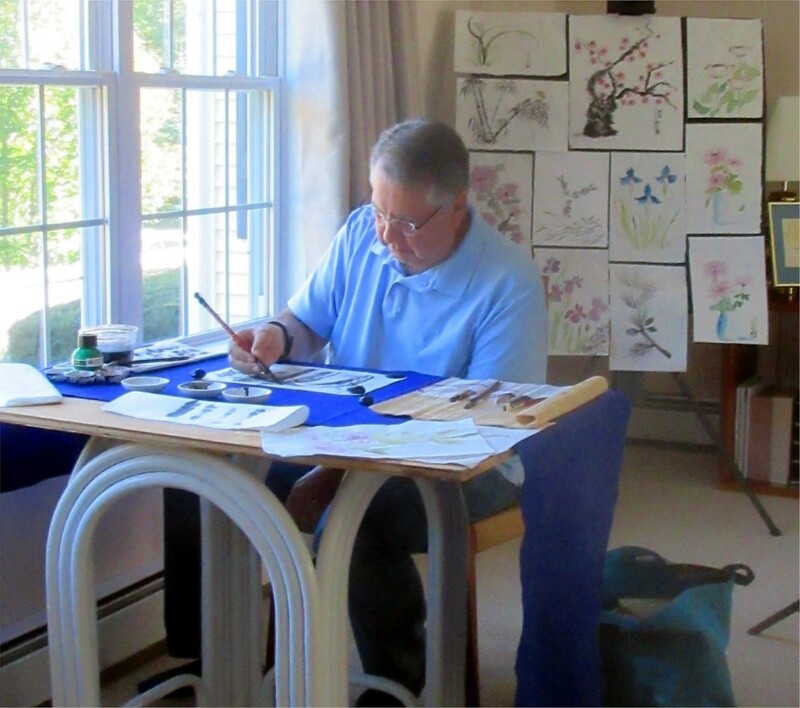 Bob finds relaxation in his resumed pastimes of painting and calligraphy.